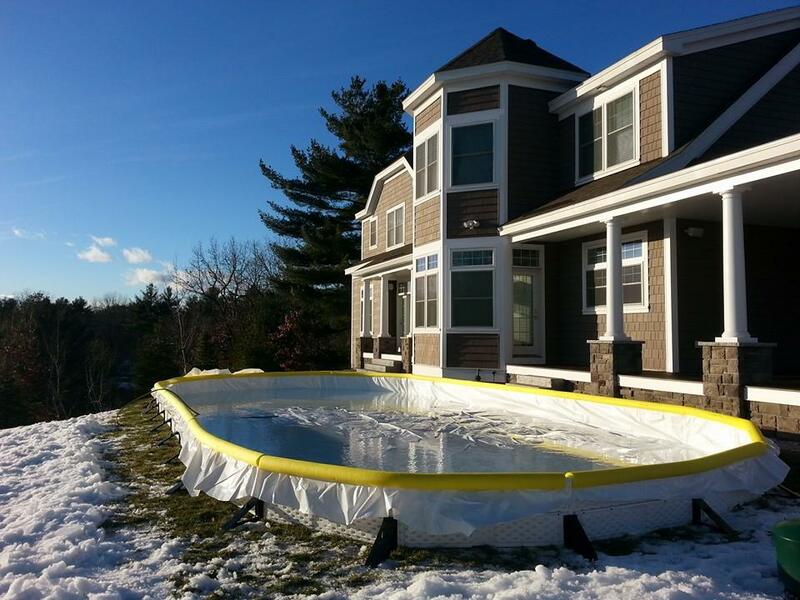 A backyard rink is an investment — we understand that. We also understand that you want someone to vouch that we are as good as we say we are. 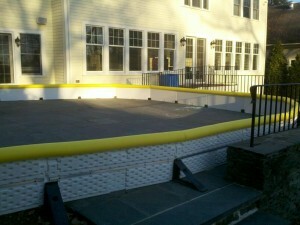 With that, take a look at what some of our past customers are saying about us, as well as some of the rinks we’ve built. And if you’d like to reach out to a current or past customer with more specific questions, let us know and we’ll put you in touch! Current customers – want to share your Elite Rinks experiences with others? Send us a note! Joe and his team are amazing and true gentlemen. 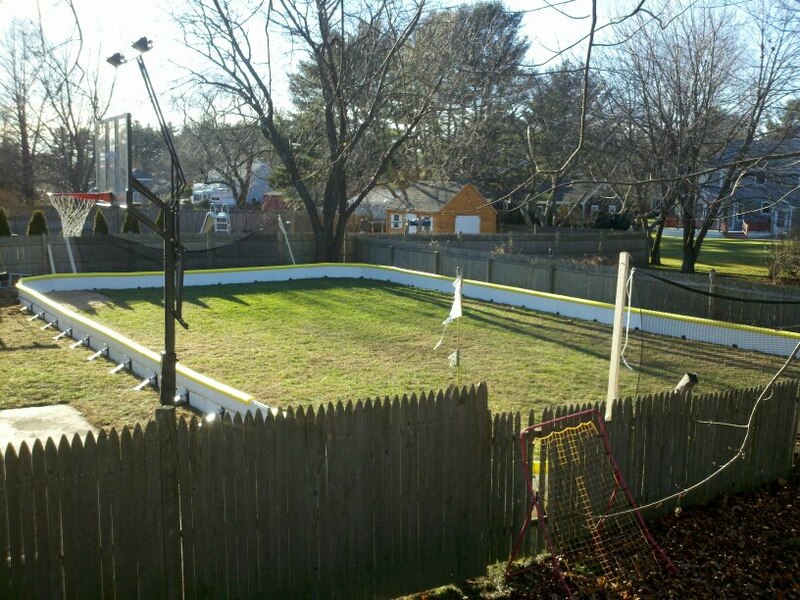 This past winter, my husband hurt his back & was unable to build our backyard rink. Elite Rinks fit us in their jam packed schedule and saved the day! They had our rink set up in less than a few hours and all we had to do was wait for the cold weather to flood and freeze our rink. 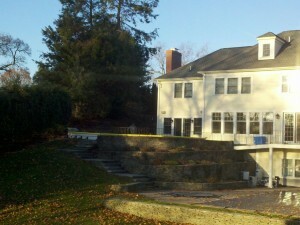 We do not have a level yard and it has been an issue over the past few years. Joe and his team came, evaluated our yard, and put together a rock solid frame for our rink. We had our best year yet thanks to their innovation and hard work! 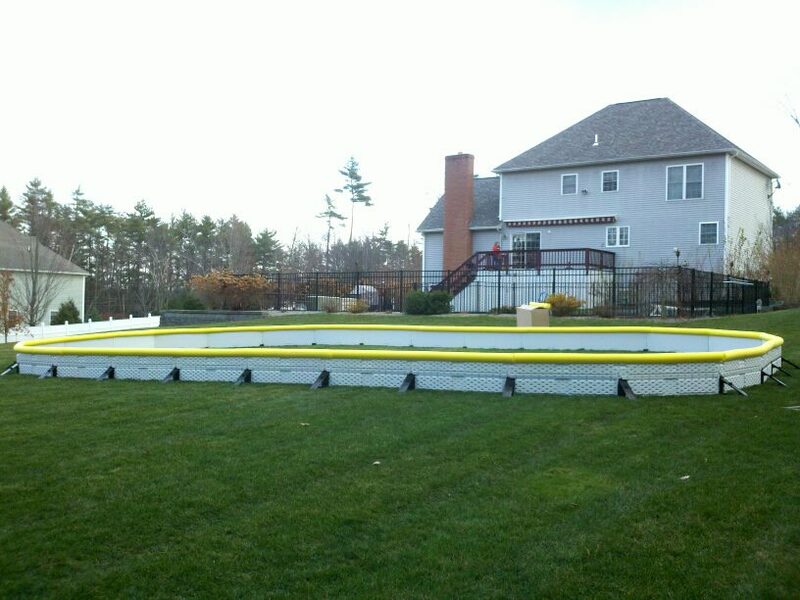 I can honestly say I would recommend Elite Rinks to any families wishing to install your backyard rink. Joe is poised, upfront and his customer service far exceeds any business I have ever dealt with. He is a family man who builds genius rinks, he loves the sport and truly enjoys bringing the same joy to his customers. 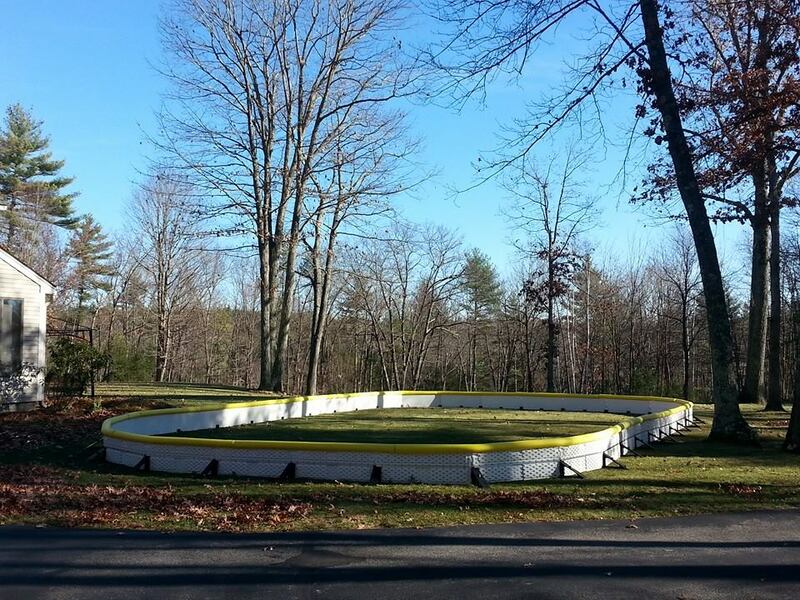 Our Elite Rink gave us many nights of skating parties, family time and a reason to have fun in the frigid NH cold! Thank you Joe! I can’t say enough good things about Joe Proulx and Elite Rinks . Joe is a fantastic problem solver who really cares about his customers and his work, provides outstanding customer service and is an absolute pleasure to work with. Our first rink was a real challenge that only Joe agreed to take on (we were told by two others that it was not physically possible to build a rink in my yard). Against all odds (and what appeared to be an unmanageable slope) and much to everyone’s surprise and delight, Joe successfully designed and built us a rink and my kids were out there every opportunity they had. 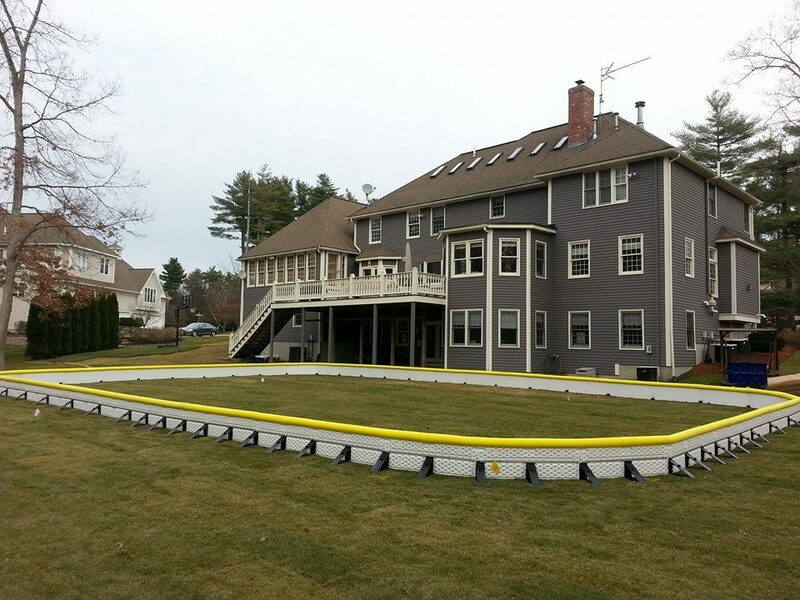 The following year we decided to move the rink from our yard to our deck. Joe built us a custom rink that maximized the rink size in a relatively small space and once again our kids used it every opportunity they had and had a great time. I unequivocally recommend Joe and Elite Rinks. Its obvious Joe is passionate about ice rinks. He was very helpful in assisting on tweaks to my initial rink design to ensure a successful season while at the same time making recommendations to save some money. I made a feeble attempt at a rink last year and to say the least it was a failure from the start. The setup this year is a 100% improvement with Joe’s help. 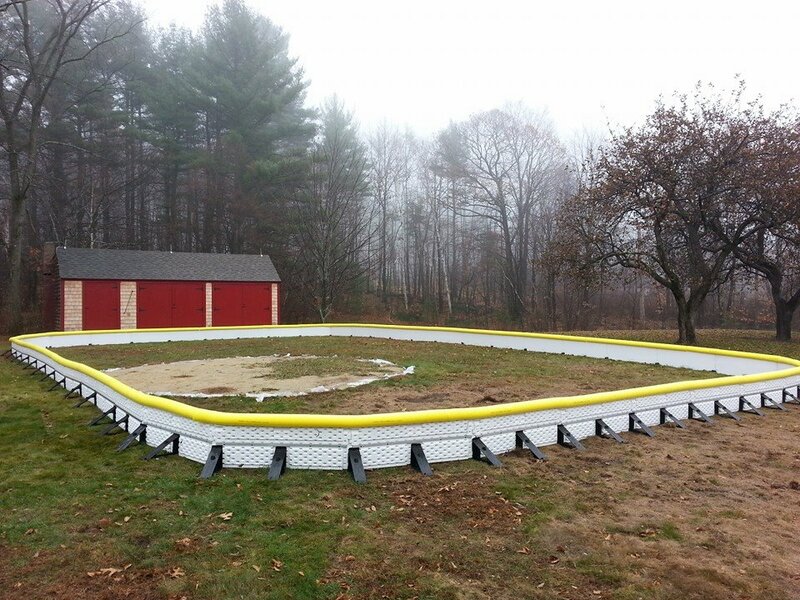 Rink is 32’x56′ made up with 3/4″ plywood frame and a combination of NiceRink brackets and wooden stakes. This combination makes for a real strong frame. My rink frame is up and I’m praying to the weather gods for some colder weather to get the season underway. Look forward to doing more business with Joe. Joe has been great. I started my rink last year and had some issues to say the least. Leaks! After talking with joe I realized that my liner was not sufficient. He helped me purchase a new one and had it shipped right to my front door. 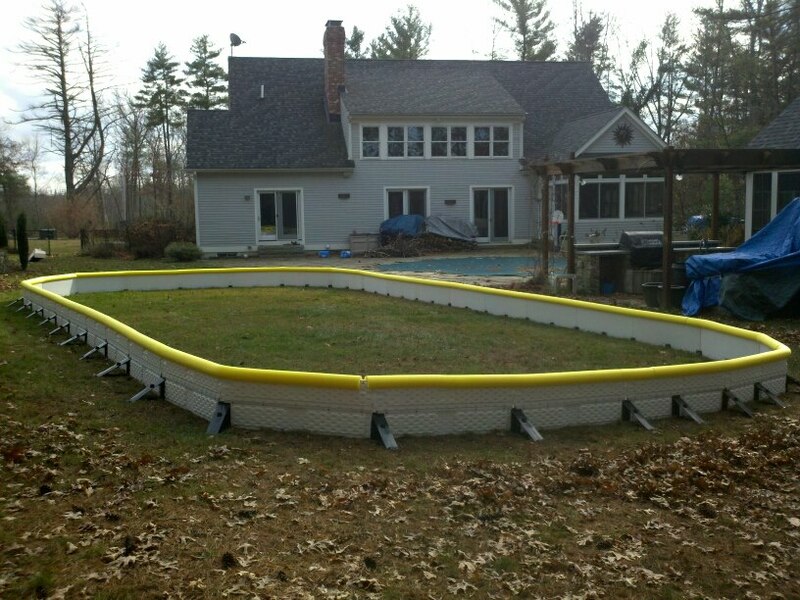 Joe is a true asset to anyone who needs advice on building a backyard rink. Thanks again Joe. Great, great service. I got my liner and ready for the cold! Joe is quick to reply to any questions I may have and I know that if I have any problems this winter he will be there to help. 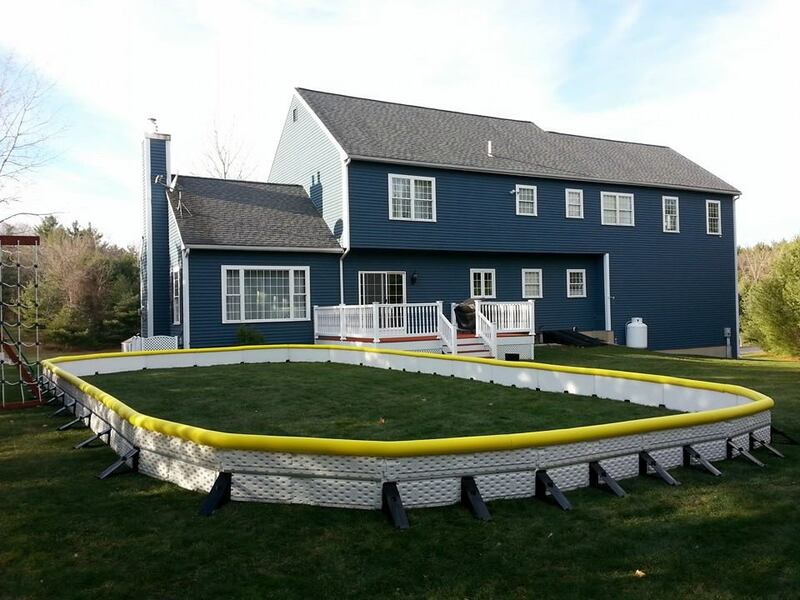 Get your home rink equipment here! Joe Proulx is one of the BEST! I live in MN, but it took a Joe from NH to help me with my first back yard rink! I only wish he was able to do the set up in MN for me every year! Joe was extremely timely in returning my emails and eventually phone calls. He stayed on top of my delivery and helped me follow up with my installers. I know once we expand our rink, we’ll contact Joe for help! One of the best in the business! 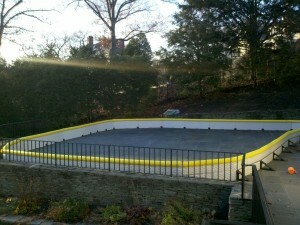 Joe and his team did an awesome job on our rink last year – quick turnaround time and it looked great! We got tons of use out of it – we will adjust the lighting this year a bit but other than that we can’t wait! Happy New Year! Thank you for the wonderful skating rink! The boys are pestering their Mom and Dad for a skating party. This was the best present I ever thought of! It has really tickled me to see how excited everyone is to have this new reason to be outdoors in the winter. Thanks again and my best wishes to you and your family! Joe, just wanted you to know that our rink is fantastic. They boys have been out every day for a week. Just couldn’t be better. I tackled building my first ever hockey rink last winter and Joe was there every step of the way. He spent plenty of time with me from the design stages right through to fill day. He was always available for a quick phone call or email to answer even the smallest question or concerns. He is passionate about outdoor ice rinks and he genuinely wanted me to have a successful rink experience. With his expertise, I was able to avoid all of the first time builder pitfalls. 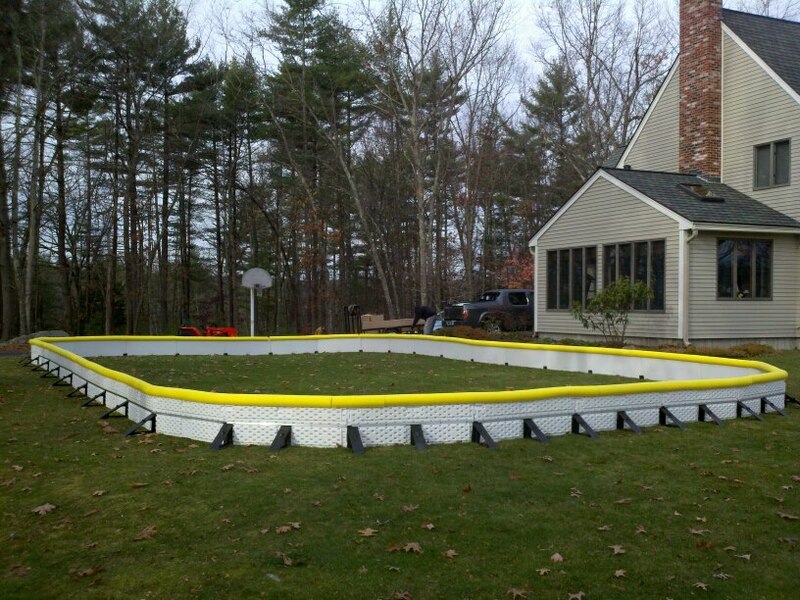 With the nice rink brackets, even a non-carpenter like myself could easily assemble a rink. 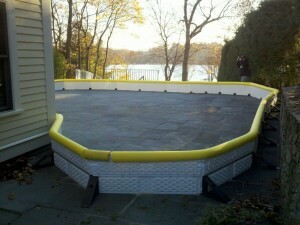 Joe was the first person I called this Fall to order additional supplies for of course, a bigger rink this season. He is enthusiastic and responsive and I would not hesitate to send friends and family to him for supplies and advice. My family had a wonderful skating experience and we have Joe and Elite Rinks to thank! 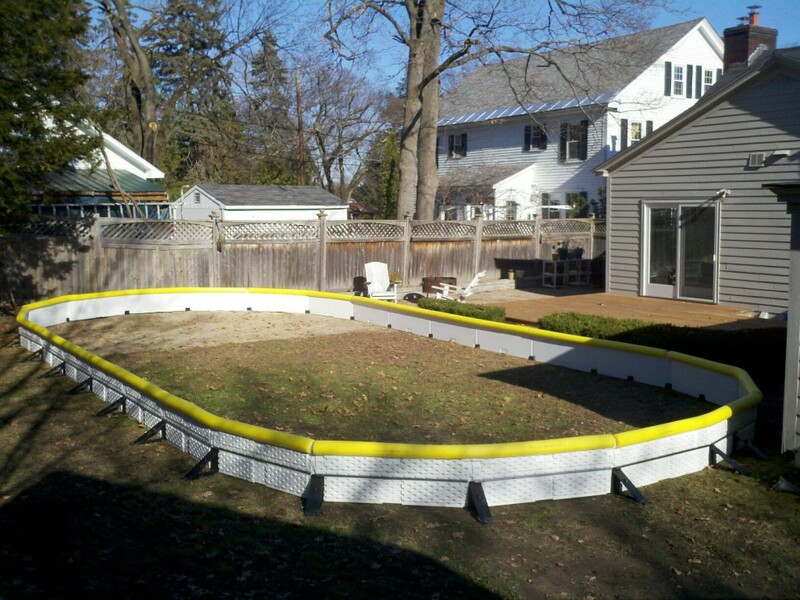 Joe – the rink has been an awesome investment this year for the family. Got my daughter up skating with no milkcrate, and my son has progressed so much faster with the extra time to just figure out stuff on his own. Just letting you know now that I’m signed up for next year with you!